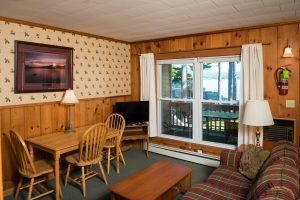 Lake George Suites! 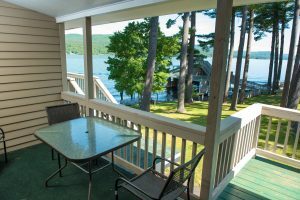 1-2 Bdrm., Private Porch, Gorgeous Lake Views! 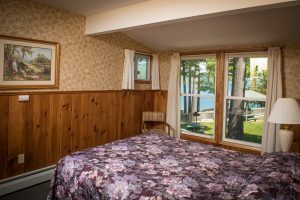 Our Lakeside Suites on Lake George include a choice of 5 Lakeside 2 bedroom accommodations, perfect for families and unit 1 is perfect for couples. 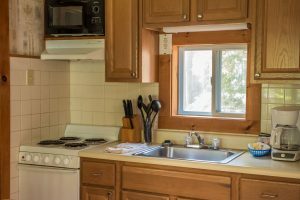 Accommodations have fully equipped kitchens and wireless internet. 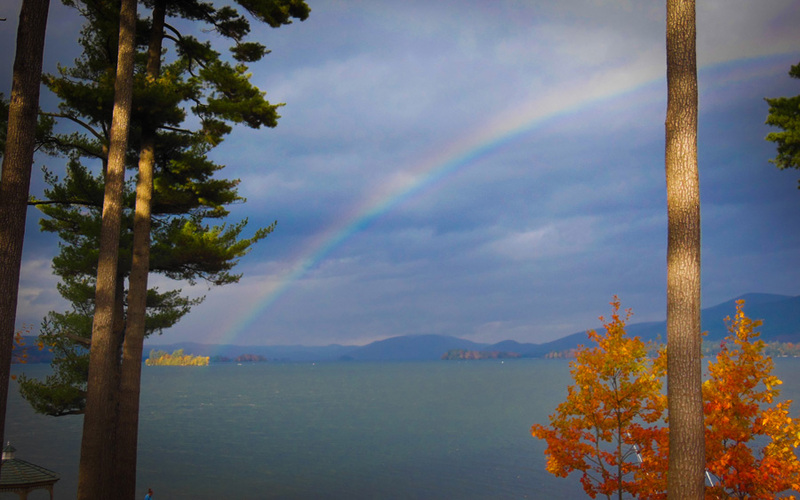 Discover relaxation like it used to be, with stunning sunsets over Lake George from your own private porch or patio. 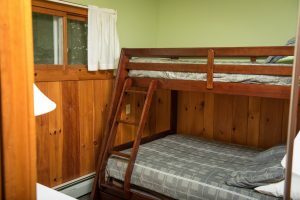 2 Bedrooms: The Master bedroom has one Queen bed; second bedroom has single over full bunk bed. 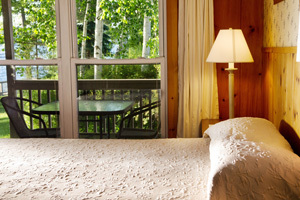 2 Bedrooms: Master bedroom has one queen size bed, and second bedroom has one queen size bed. 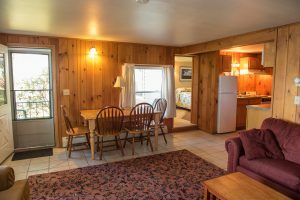 2 Bedrooms: The Master bedroom features one queen and one single bed; second bedroom has single over full bunk bed. 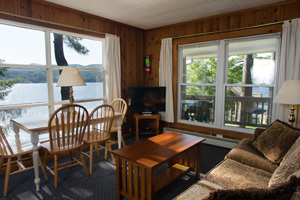 This suite has some of our very best views of the lake and includes a private covered porch. 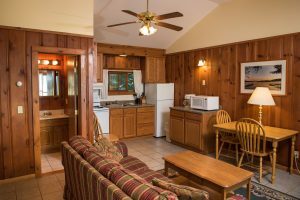 This suite includes a living room and full kitchen. 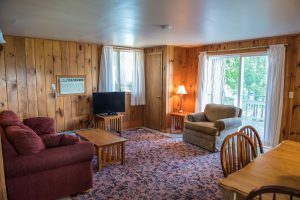 2 Bedrooms: Master bedroom features one queen and one single bed, and the second bedroom has one queen bed. 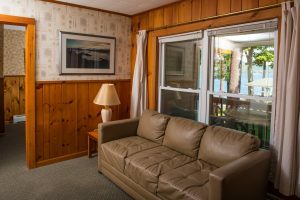 The Lakeside features a private covered patio and large open private barbecue patio with picnic table and gas grill, located within 40 feet of the lake shore. 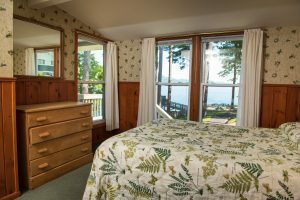 2 Bedrooms: The Master bedroom is equipped with one queen size bed and a two-person whirlpool tub with great lake views! Second bedroom features two single beds. 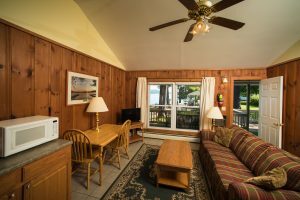 Check availability and rates, or call 518-668-2556 today for more information about our Lakeside suites!